The breastplate was an essential part of the armour as it protected the upper body. 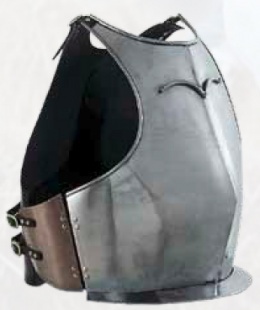 Our version is made of 16 gauge steel, contains buckles at the shoulders and sides, leather back, and articulated side plates. Clean lines and modest chest detail show you mean business. This page was last modified on 12 December 2013, at 20:08.